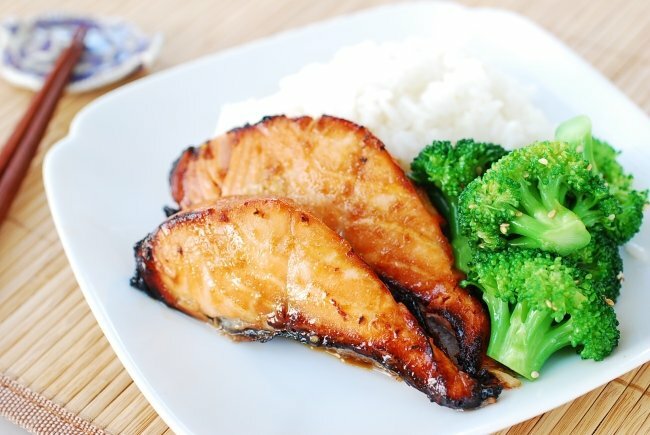 I absolutely love salmon! 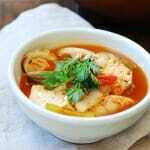 Here’s my favorite way to cook this omega-3 rich fish. 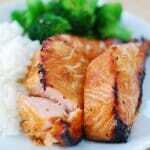 I pair it with a sweet and savory bulgogi marinade, hence the name – salmon bulgogi. 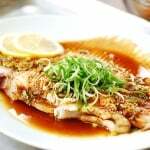 The flavorful marinade works wonderfully with the rich, oily fish. 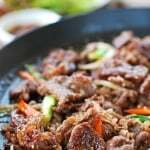 Bulgogi is a marinated meat dish made with thin slices of beef. 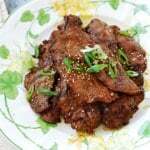 In the past, I posted a variation made with chicken, dak bulgogi. It’s one of the most popular recipes on my blog, so try it if you haven’t. The salmon is thinly cut for quick marinating. Buy salmon with skin if you can. The skin helps hold the thin flesh together. Always make sure the fish you buy is fresh. You can cook the salmon any way you want. My favorite way is quick broiling. 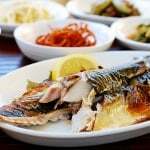 The high heat cooks the fish very fast while giving a nice char, but be careful not to overcook. The marinade is easy to whip up, and the fish cooks very quickly, making this dish a perfect weeknight meal! I served it here with plain rice and sesame broccoli. Pull the bones from the salmon if there are any. 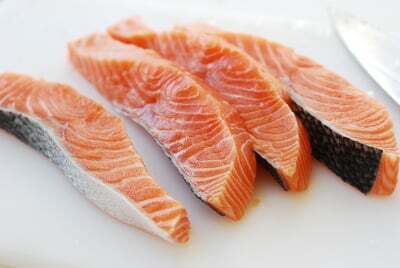 Cut the salmon fillet into 3/4-inch thick pieces. In a medium size bowl, mix the marinade ingredients until the sugar and honey have dissolved. 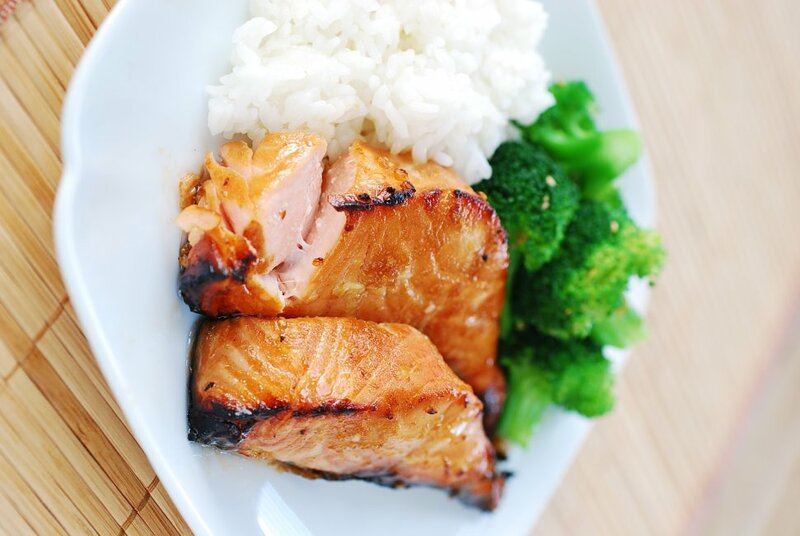 Coat the salmon pieces with the marinade. 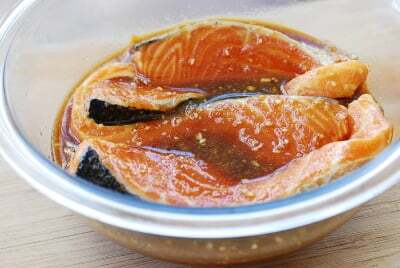 Marinate for 20 to 30 minutes (longer if you have time). Set the oven rack 6 inches below the heating element. Preheat the broiler. 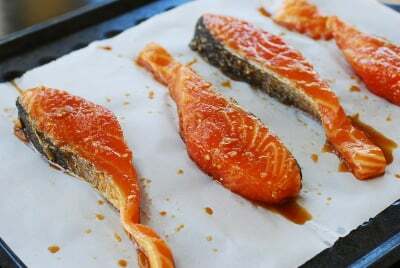 Place the salmon in a broiling pan lined with parchment paper or aluminum foil. Broil about 3 to 4 minutes until the salmon is cooked and slightly charred. Watch closely as not to overcook. When you call for rice wine, is it better to use Japanese sake or Chinese shaoxing? I always have both on hand. I’ve had Korean rice wine a couple of times and enjoyed it, but don’t see it often. Either one should be fine. Or you can use white wine if you can’t find rice wine. Thanks! I am so going to cook that today! 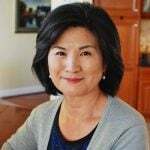 Your blog is a wonder to read, thank you! Oh, and I’m reading you from Reunion Island, it’s a French overseas island in the Indian Ocean, between Madagascar and Mauritius. Wow what a lovely place you live in! Guess what? I’m also making it right now for our Friday dinner. Hope you enjoyed yours. Thanks for coming by! All that sounds wonderful! Thanks for using my recipe. Oh that’s awesome to know my blog is popular among your French friends. Too bad I don’t know French to be able to read their blogs. Thanks for taking the time to write me! Cheers! would this work with halibut? I have all these ingredients and I’m making this tonight! This is slightly different from the Bulgogi marinade I normally make, as I use Asian pear in my marinade, it should be just as good! 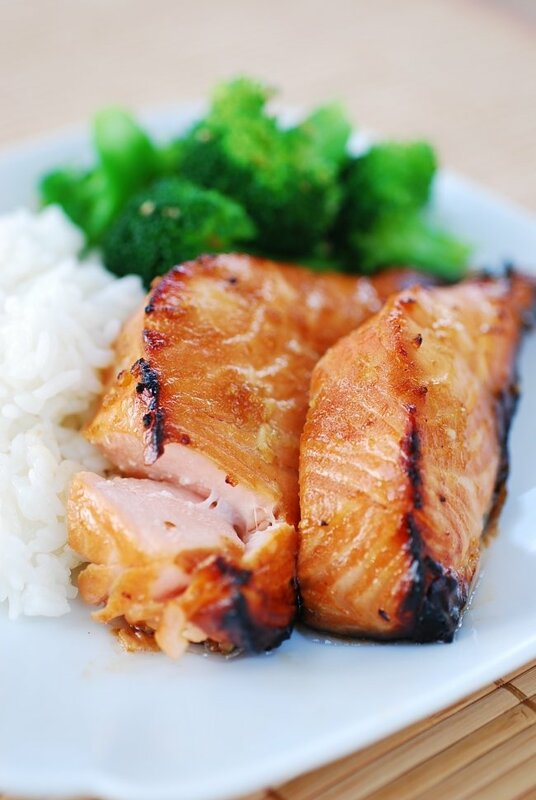 Salmon is my favorite fish. Thanks for the great dinner idea. Would marinating overnight be ok? Or would the lemon juice breakdown the fish too much? Thank you. Should be fine. I’ve grilled leftovers the day after, and they were fine. Thanks! Oh I am so happy to hear that! 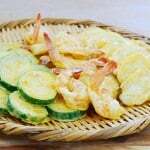 A great side dish you paired with. Way to go, Thanh! My Korean husband declared that he has fallen in love with your salmon bulgogi recipe and begged me to make this often for him! Aww that’s awesome! I’m thrilled to hear that. Luckily this is an easy dish to pull together. Can I bake this instead of broiling? If yes, at what temperature and for how long? Any substitute for lemon juice? You can bake at 425°F for about 4 to 5 minutes or until firm to touch. You can omit lemon juice or add a little bit of vinegar. Enjoy! Welcome to Korean Bapsang! That’s great to hear. 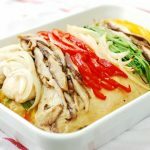 Hope you find many more recipes you like from this blog. I’ve never been to Belgium, and was so jealous when my friend and her husband stayed there for 6 months for work. Hope to visit the beautiful country one day. Hi Claire – Yes I think doubling the marinade will be sufficient. My family loves gamjatang too! It’s on my to-do list. Stay tuned! 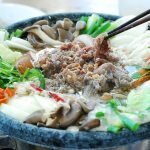 Is rice wine the same as rice wine vinegar? What kind/brand of rice wine do you use? Thanks! no it’s not the same. You can use any cooking wine or white drinking wine. I use Korean Lotte brand or Japanese Kikkoman because they are easily found here in America. Hope this helps. Do you have paper cook book? What’s the title of the cook book I f you have? Thanks! No I don’t have one. Sorry! It’s a future project.